“No one has any doubts now that the U.S. missile defense system is a serious destabilizing factor, an incentive for an arms race, and a massive violation of international obligations, including the Treaty on the Elimination of Intermediate-Range and Shorter-Range Missiles” — so declares General Sergei Shoigu, Russian Defense Minister (April 4, 2018). Defense Minister Shoigu’s invective against U.S. missile defenses is untrue on every point, and deeply revealing that space-based missile defense is the best possible deterrent of Russian nuclear aggression. Shoigu claims U.S. missile defenses are “a serious destabilizing factor” because they would upset Moscow’s plans for a nuclear first-strike. Russian military doctrine and planning for a disarming first-strike against adversary nuclear forces and command centers requires achieving a kill probability of 90 percent against these targets. Effective missile defenses, even a relatively small force that could protect more than 10 percent of these crucial targets, could defeat a Russian first-strike — and therefore would be highly stabilizing. Shoigu claims U.S. missile defenses are “an incentive for an arms race.” But Russia, China, North Korea, and Iran are racing now to develop new missile threats as fast as possible — not the United States. The U.S. under President Trump has finally launched a program of modernization, after years of neglecting its nuclear deterrent. But most new U.S. missiles, bombers, and submarines will not come into service until well past 2024. So the U.S. now faces a “window of vulnerability” to a Russian first-strike that will not be closed by the advent of a modernized U.S. nuclear deterrent for many years. Shoigu’s chief worry is that the U.S. will quickly deploy space-based defenses and close the “window of vulnerability” thereby making pointless Russia’s vast and growing investment in offensive nuclear arms. U.S. and allied vulnerability, not missile defense, is driving Russia and others to multiply missiles like mad. Shoigu’s lie that U.S. missile defenses in NATO violate the Intermediate-range Nuclear Forces (INF) Treaty is nonsense and pure projection. Russia, eager to exploit European NATO’s vulnerability to missile threats, has been caught red-handed violating the INF Treaty, deploying missiles that could make Western Europe a nuclear battlefield again, as in the Cold War. Shoigu regards as good and highly stabilizing Russia’s nation-wide missile defenses — designed to defend their homeland in an all-out nuclear war — built in violation of the now defunct Anti-Ballistic Missile Treaty. Russia is also racing to further strengthen their missile shield. Only U.S. missile defenses are bad and destabilizing, according to Shoigu. Unfortunately, U.S. National Missile Defenses and those in NATO Europe, Japan, and South Korea were deliberately “dumbed down” by the Clinton Administration to be ineffective against missiles from Russia and China in the interests of “strategic stability” to keep people like General Shoigu happy. Present U.S. missile defenses were designed to intercept primitive missiles, such as the Clinton Administration imagined North Korea and Iran might someday develop — not anticipating the much more sophisticated missile threat the U.S. currently faces from Pyongyang and Tehran because of missile technology transfers from Russia and China. 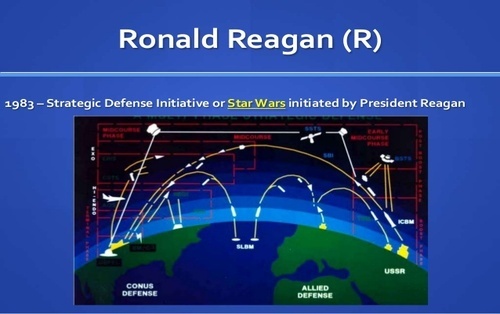 Fortunately, the 2018 National Defense Authorization Act includes provisions (1685 “Boost-Phase Ballistic Missile Defense” and 1688 “Plan For Development Of Space-Based Missile Intercept Layer”) that would enable President Trump to revive President Reagan’s Strategic Defense Initiative and quickly deploy “Star Wars” to shield America, and its allies, from all missile threats. Space-based defenses are far more effective than existing Earth-bound defenses, based on land or sea, because they can destroy nuclear missiles during all phases of their flight — boost-phase, mid-course, and re-entry. For example, Brilliant Pebbles with a single interceptor could during boost-phase destroy Russia’s Satan-II heavy ICBM before it could release its 15 nuclear warheads. Thus, 15 targets could be saved by a single Brilliant Pebble, a 15-to-1 exchange ratio favoring the U.S. 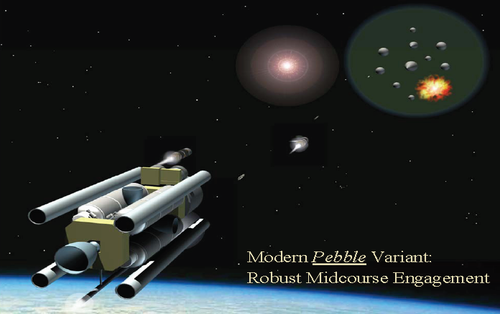 Brilliant Pebbles would also neutralize Russia’s new hypersonic maneuverable warheads that pose an unprecedented first-strike threat. Improved space-based sensors and defenses using modern technologies, that did not exist when Brilliant Pebbles was designed, could neutralize nuclear threats from Russia’s new cruise missiles. Space-based defenses could slam shut the U.S. “window of vulnerability” in the near-term, and ruin all of Shoigu’s plans. However, “Star Wars” haters still abound in the U.S. media and Deep State who have spent years misinforming policymakers that space-based defense like Brilliant Pebbles is too expensive. By comparison, the U.S. will be spending on modernization and sustainment of offensive nuclear forces over $700 billion. This story originally published here. Dr. Peter Vincent Pry is executive director of the Task Force on National and Homeland Security. He served in the Congressional EMP Commission, the Congressional Strategic Posture Commission, the House Armed Services Committee, and the CIA. He is author of "Blackout Wars." For more of his reports, Go Here Now.